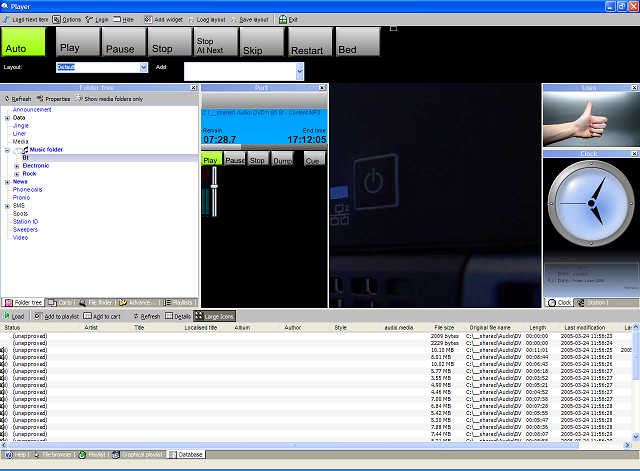 Studiomatics is the most reliable, powerful and extensible radio automation software for radio stations. It has the following modules: MediaBase (SQL database), Editor, Player, Recorder, Broadcaster, SMS, Voice mail, News, Commercial, Kiosk, Web portal. Qweas is providing links to Studiomatics 1.0 as a courtesy, and makes no representations regarding Studiomatics or any other applications or any information related thereto. Any questions, complaints or claims regarding this application Studiomatics 1.0 must be directed to the appropriate software vendor. You may click the publisher link of Studiomatics on the top of this page to get more details about the vendor.